Let’s Get to Know … Carrie Hayne Fohr! Last year, Carrie Hayne Fohr ran 27 races. That’s 5 half marathons, 4 10ks and 18 5ks. And that’s not even including the dozens of fun runs she participated in over the year! 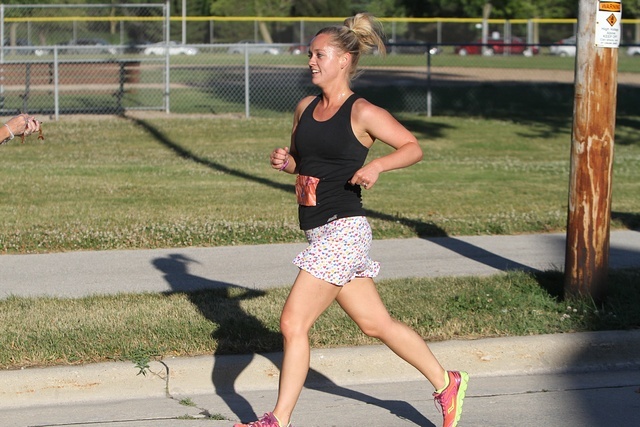 Read on to get to know more about this MKE runner including what motivates her to run and a few of her favorite local races! I started running with Performance Running Outfitters’ run club as part of the 5k class. I then graduated to the 10k class and was a 10k mentor last year. I’m currently attempting a 1-year Run Streak (start date: 08/01/15) and run at least 1 mile every single day. I also do the PRO Flapjack Fun Run on Saturdays and a long run with the Minerva Muses on Sunday. I love being outside and out of the house and listening to an audiobook (currently the Harry Potter series) or chatting with a running partner. 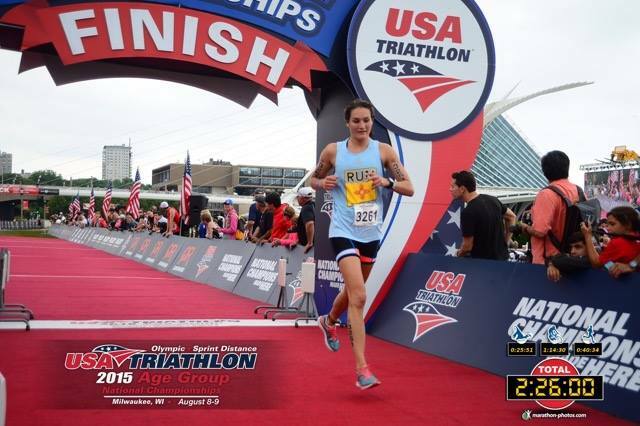 I also love the pride of a new race PR, and I love having a training schedule to work toward the next big race. Tell us a bit about Minerva Muses – what is the purpose of the group and how has running with these ladies helped your running/racing? Minerva Muses was started by our fearless leader Micaela Ellevold and is about camaraderie, friendship and keeping each other accountable. 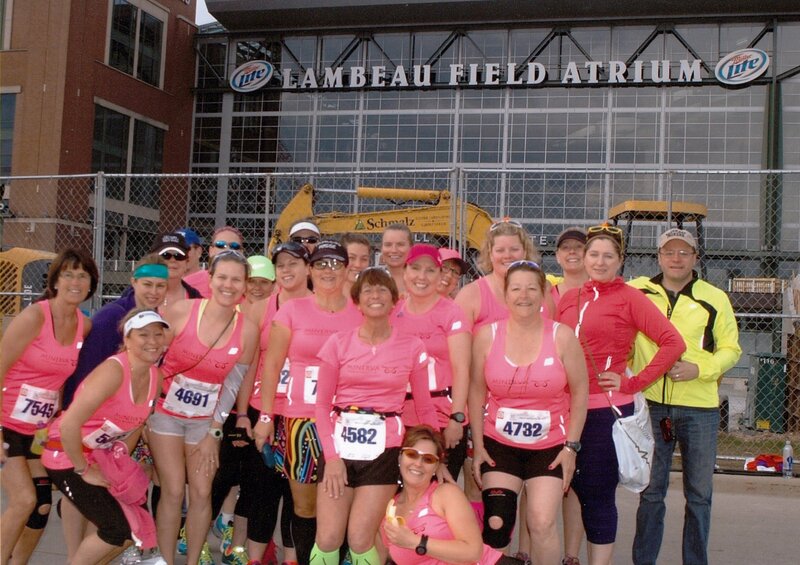 The Muses are all about having fun while running and encouraging other women to join the sport of running! 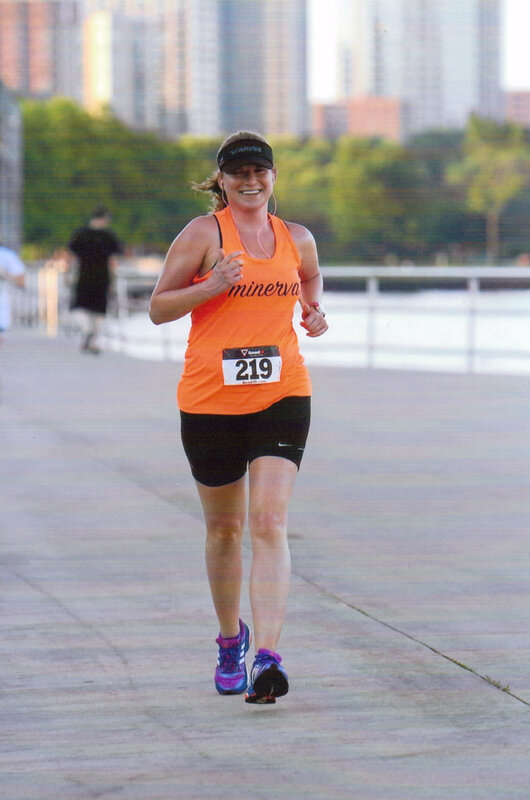 Look for us in our coral shirts at your next Milwaukee race! How else are you involved in the running community? This year I’m a Nuun Ambassador and I’m also a Irun4 runner. 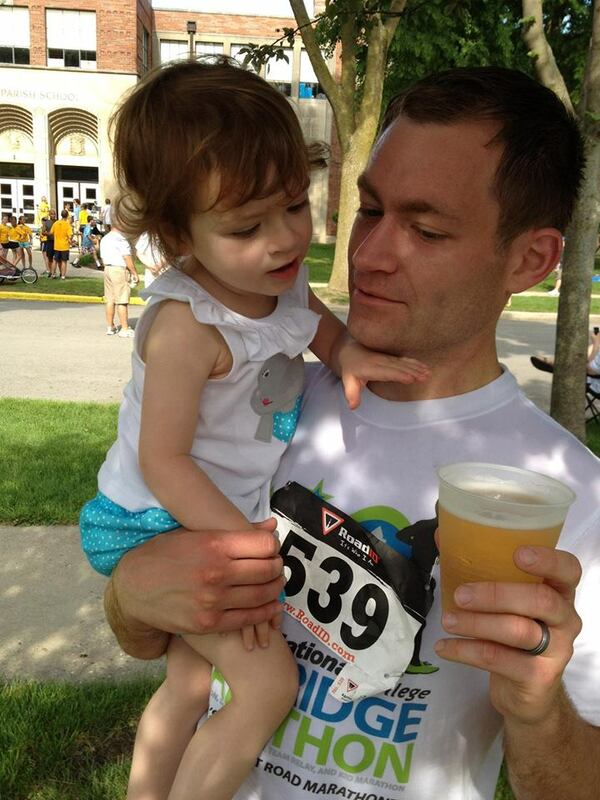 This year, I’m running for Kassia, a 3-year-old girl from New York. She has a beautiful smile, a great spirit and an amazing mom, Kathy. She also has tuberous sclerosis complex (TSC), a genetic disorder that causes non-malignant tumors to form in many different organs, primarily in the brain, eyes, heart, kidney, skin and lungs. Kassia cheers me on for all my runs and races and I run 4 her! She motivates me to do more and make her proud! I am thankful to have been matched with such a great family and an inspirational little Super Hero like Kassia! My running goals for 2016 are to continue my Run Streak, sign up for fewer races, enjoy training with friends, and accomplish a new half marathon PR! Some of my favorites include the Milwaukee Lakefront, Wauwatosa Hoyt Park and Brookfield Fox Brook Park. 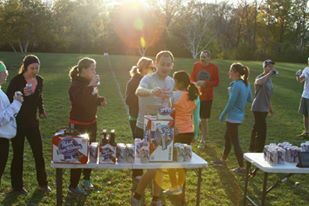 • Brewers 5k Famous Racing Sausages – It’s a summer race and you get a free Brewers ticket and a beer & a hotdog at the finish. • Summerfest Rock ‘n Sole – This is a great running tour of Milwaukee and it has THE BEST AFTER PARTY! 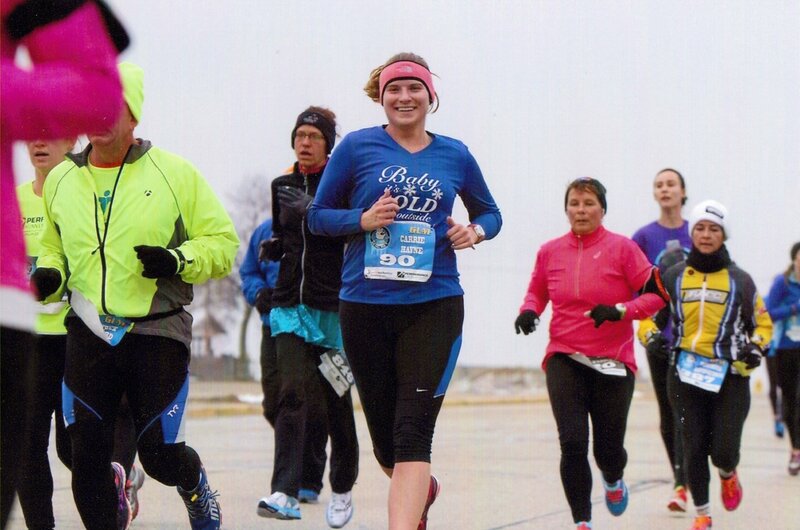 • Lighthouse Winter Series races – I love that there is a 5k or 10k option, immediate results and medals after the race, photographs on course, and seeing so many local runners at each race! Thanks so much for chatting with us, Carrie! Let’s Get to Know … Sofie Schunk! Many runners dream of breaking the 3-hour mark in a marathon. 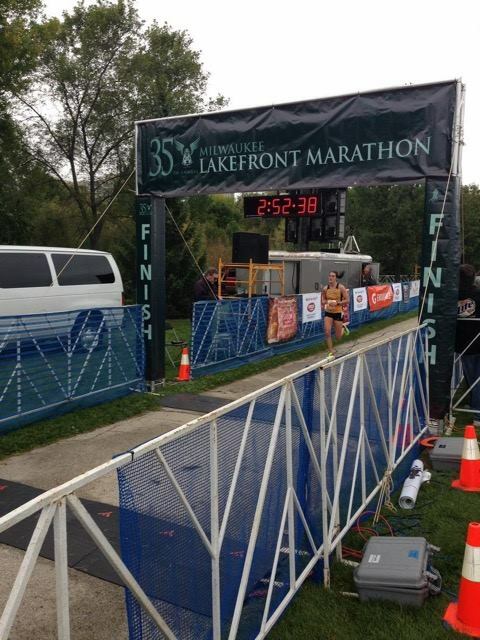 Sofie Schunk did it during her first marathon at this year’s Milwaukee Lakefront Marathon, running 2:52. An incredibly impressive race for someone who just started competing in endurance events this year! 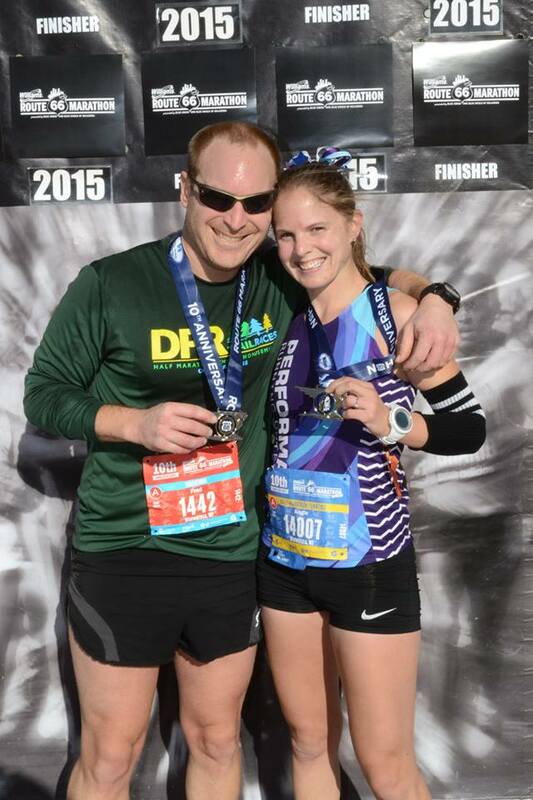 Read on to learn more about her training, racing goals, balancing running and graduate work as well as running with type 1 diabetes! 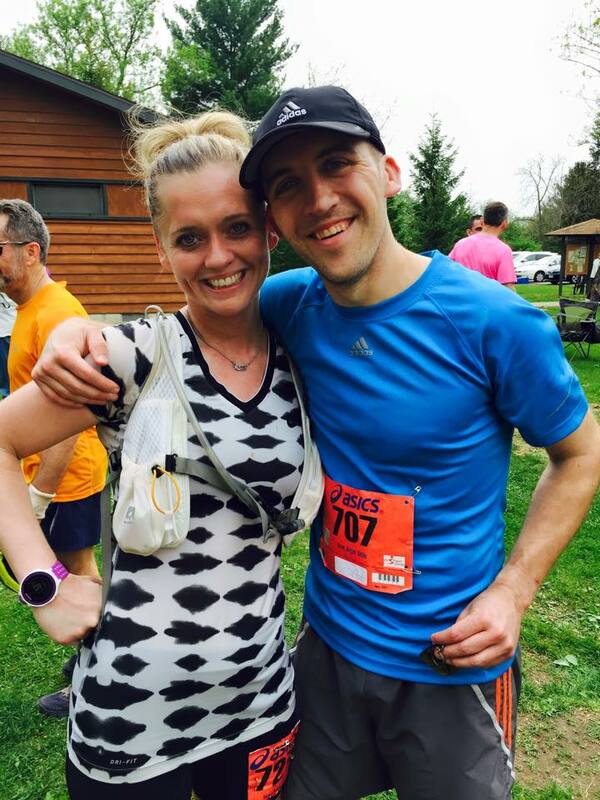 Favorite race distance: I’m still in the process of figuring that out, being so new to racing! I would have to say a half or full marathon based on performances, but a 5k PR is in the making! Favorite workout: Mile repeats (x4) two weeks before a big endurance race—they feel short, and you can run really fast! This is always a confidence boost for me. I also love hills and long runs with a group of people. Pre-race routine: I am not one for superstitions, but I always read through my training log (BELIEVE Journal by Lauren Fleshman) to give me a nice confidence boost. I also enjoy listening to music (I have a set playlist that starts from relaxing Dave Matthews to more ‘pump-up’ such as Eminem) and always write on my wrist HCS 3:23, my sister’s initials and part of her favorite verse—we are very close but live 2,000 miles apart (she is also a stud runner at Texas Tech). In terms of warm-up, I always make sure to get ‘sweaty’ and finish off with six fast strides—my favorite number, and it gives me the ‘fast’ racing mindset. Must-have gear: Shoes and my continuous glucose meter for my diabetes! Growing up in New Mexico in the foothills of the mountains, I always had access to trails. That being said, I took them for granted, as I never ‘properly’ used them until I picked up endurance running in the past two years. Initially, I ran track in high school, mainly middle distance, because I had a natural talent for it, as did my family (my mom ran track, and my sister now runs track/XC for Texas Tech). When I was diagnosed with diabetes in 2008, my sophomore year of high school, I had a harder time running track management-wise and began to focus on soccer. I pursued soccer in college, but always had a knack for running, despite being a goalkeeper and the stereotype there. Immediately toward the end of my soccer career at Marquette, I approached Dr. Michael Lovell about Marquette’s ‘President’s Running Club.’ I figured, what could be better than running as stress relief throughout graduate school? I was immediately hooked and began to grow into the workouts and long runs, particularly because of all the awesome people and faculty I met—each had their own separate experience that was passed down to me. I was immediately inspired and enjoyed the fact that running was where I had some of my best reflective and academic thoughts and ideas, on top of providing stress relief and a new social group! Additionally, it was an awesome way to control my diabetes naturally—not to mention, one of the most influential members to me in the running club, John Klika, also has Type 1 Diabetes, providing another awesome resource! Since joining the running club, I have made a pact to run wherever I go or travel in order to see new things. I have met many people along the way and seen many new places everywhere I travel, including exploring my own backyard trails in New Mexico amongst the mountains that I knew always existed but was never inspired to run until now. Running has given me a way to channel stress into a more positive outlook and promote free thought and happiness that I want to share with others—I won’t stop! Do you think your training and fitness from playing soccer has played a role in your successful transition to running? Goalkeeping often gets a notion of ‘little running’, which is true—however; there is a large aerobic part to training in practice involving many plyometric and agility exercises repeated for an extended period of time. Soccer training taught me the importance of strength training and lateral agility, which I have found greatly enhances running and power. My first running injury occurred after I neglected many of the basic strength drills I was taught throughout my collegiate athletics career, resulting in IT band syndrome due to weak hip abductors. Ever since, I will embrace the strength and power soccer gave me, in addition to the competitive drive and work ethic mentality. Many runners dream of running a sub-3 hour marathon – congrats on hitting this mark during your first one, in addition to a third place finish. Can you tell us what inspired you to tackle the marathon distance? What was your experience during the race? Thank you! 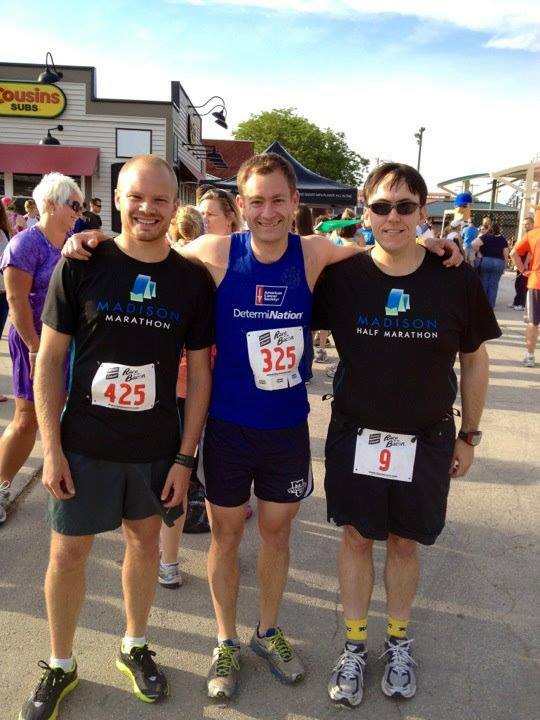 The Marquette running group, amongst myself, inspired me to tackle the marathon distance. 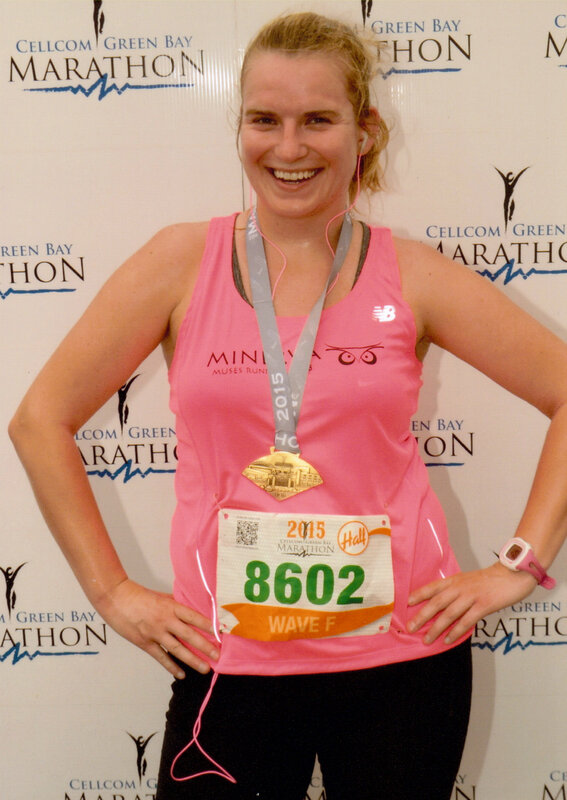 I honestly did not expect to run a marathon until after the Wisconsin Half Marathon when I still kept training with the group whose next endeavor was the marathon. That being said, I still had hesitations—my parents always said marathoners ‘are prone to injury’ and time-consuming, which at the time, seemed impossible with writing my Masters thesis. However, the long runs became what I looked forward to every weekend, running farther and faster than I ever had before and having people to do it with along the way. Around the end of May, one of my friends in the group (and Dr. Lovell) said you have to do a marathon—it’s one of the greatest feelings of accomplishment especially when you have been putting in the work! I knew they were right, and found a way to fit in the training with little to no injuries. I went into the race with no exceptions—I kept telling myself that no matter what happened, it would be the farthest I had ever ran and would be for and with a team. That being said, I could not contain my excitement beforehand. I knew I had to be consistent throughout the race, pace-wise, and take it all in. I found myself running with an awesome group of people—Mike Nelson (Marquette’s Track and XC coach), Tim Cigelske, and two other Marquette students. I truly believe this group made me successful—my watch had died so I was able to get a few splits, and we were almost all laughing and telling the stories the whole first half of the race! Who could ask for a better setup and group to share fun times and run at a fast pace? I was a bit nervous seeing splits all around 6:30 and below, as I had originally planned on 6:40-6:45; however, I am not one to back out of trying to test my limits, especially when I had nothing to lose. The hardest part was miles 20-24—my body started to feel the fact that I had never run that far at that fast of a pace. Only two of us were still running together, but it was enough to give me that extra boost at mile 22—marking the point of the farthest distance I had ever ran! At that point, I also had caught up to the second place female. 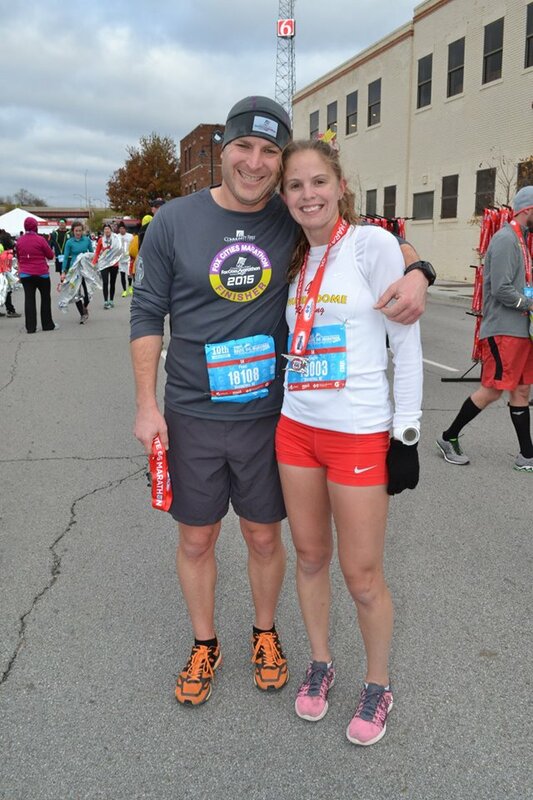 I began to stay with her and actually passed her at mile 24; unfortunately, I think I motivated her to use her reserves as I was just starting to deplete mine. She passed me again, but it was enough to ‘bring me home’ without thinking much about my throbbing legs. I remember crossing the line in shock, excitement and motivation to improve—I had exceeded my expectations, but just knowing that I think I could have a higher potential and extra motivation through others was the greatest feeling in the world! I loved cheering in my teammates and giving hugs to all of them that helped me along the way, as well as hearing their race stories. What was your training like leading up to the marathon? 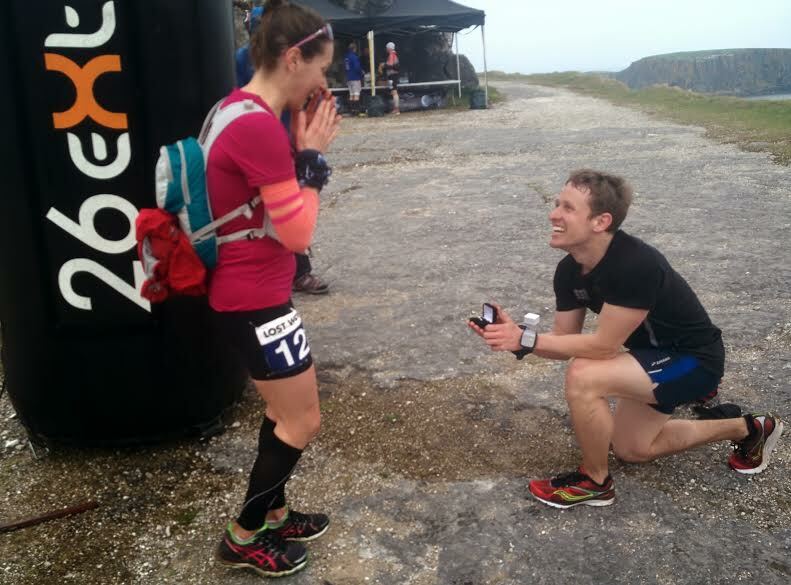 Based on your training, did you expect to race as well as you did? I ran with the running group usually twice a week, typically a track workout and 4-8 mile tempo run. 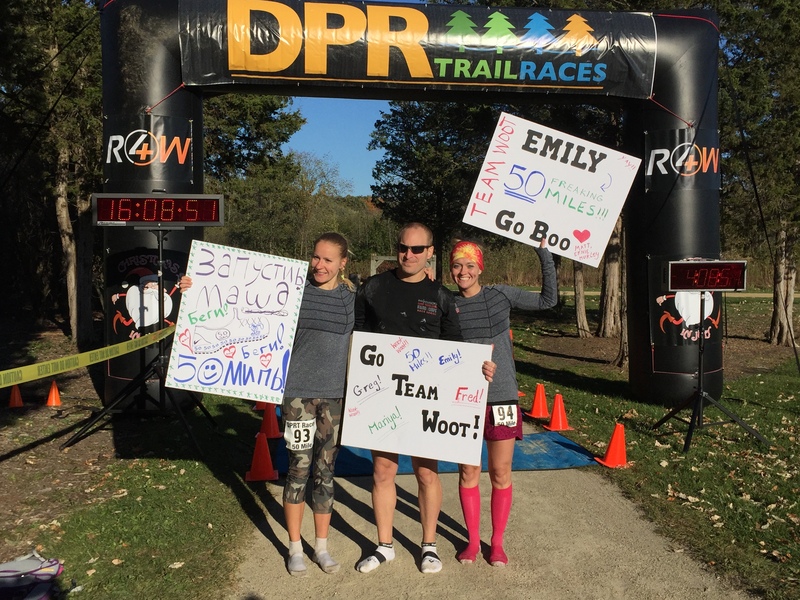 The weekends, usually Saturday morning, were devoted to long runs and distance training, usually with the Badgerland Striders group but with my smaller subset of the running club—Dr. Lovell, John Klika, Gary Krenz, Dr. Mike Gordon and Tim. On the days in between workouts, I would get in anywhere between 4-10 easy miles either on my own time or with a friend. I also, if feeling extra fatigued, would replace easy runs with swimming or biking (which I did supplement running with anyways, being a triathlete). I kept up my strength routine 2-3 times a week as well, to prevent injury and keep my power. Based on my training, I knew I had one of the strongest endurance bases I had in awhile; however, with never running a marathon, I thought I could break 3 hours if I pushed it, but that’s it—I proved to myself that I could go beyond! Running a half marathon about a month and a half before was also perfect timing for a ‘predictor’ run. I also think that the taper (although difficult) was very important for my performance! You continued your fantastic racing season through the Milwaukee Running Festival by winning the elite women’s mile as well as the 5k. What was your experience running these races? 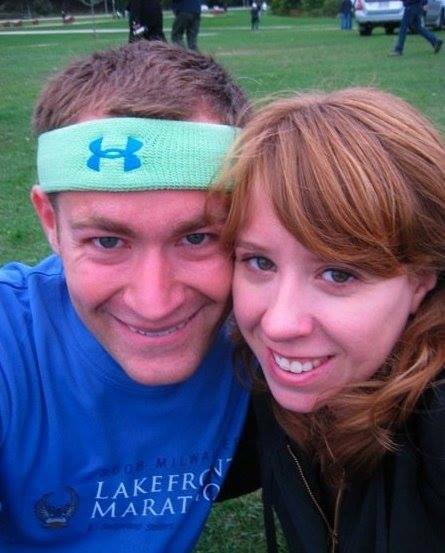 These were all about having fun and running with a friend who just came back from running—Marissa Lovell! 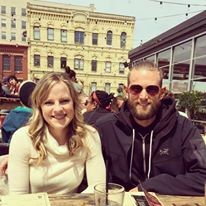 We had a great time, and when you run amongst fellow Milwaukee runners and enjoy the experience with all the routes that we constantly run everyday, it’s easy to be successful! 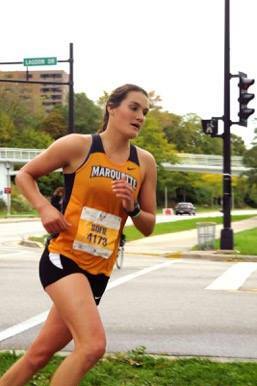 These also were the first couple of races I could run for a greater cause (although I will always run for Marquette!) after joining DSP, the Diabetes Sports Project. Can you tell us about the Diabetes Sports Project? The Diabetes Sports Project is a team of type 1 diabetic ambassadors, all of whom have had amazing accomplishments—IronMan Kona Championship Participation, climbing Mt. 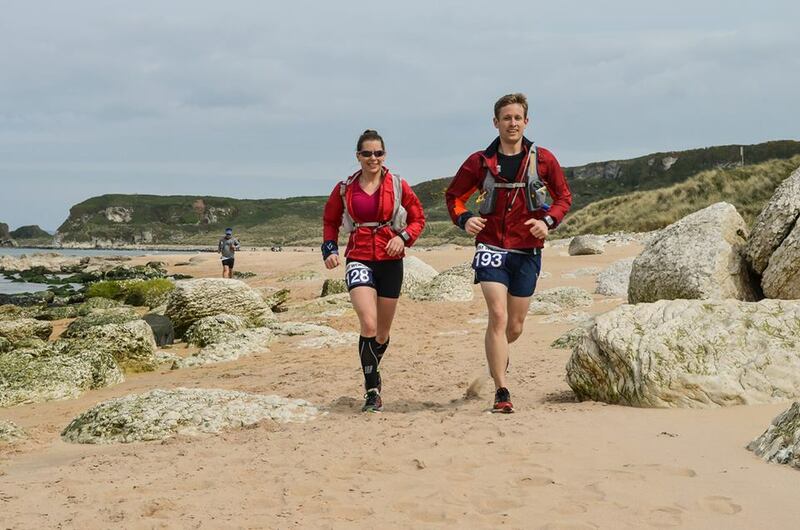 Everest, Running Across America, and multiple ultramarathon completions, for example. Along with myself, there are ten of the leading diabetes athletes ambassadors from around the world, and we use our athletic accomplishments to inspire and educate those affected by diabetes. There is a huge need for sports and diabetes education, coaching and mentoring in the community. Many people living with diabetes are uncertain how to live an active life; that is where we come in! Whether they are looking to race an Ironman triathlon, play t-ball or dance at ballet class, we are the go-to resource for how to successfully manage diabetes while living an active life. We provide mentoring, through our work in the community, to those in need. For athletes looking for more detailed triathlon coaching, we formed an exciting partnership with Sansego (the coaching organization started by Craig “Crowie” Alexander), which along with our diabetes knowledgebase and mentoring from our ambassadors, provides a powerful combination that truly empowers everyone in the community to reach their individual goals. DSP is about sports and impacting the community, which played a huge role in my decision to join. I became involved after pursuing endurance running and following the group when they used to be an integral part of Team Novo Nordisk—I’ve always wanted to speak and help educate kids on how diabetes should not be thought of as a limit—DSP will give me the tools to do so! Diabetes has affected my running—there are days I just simply can’t control my blood sugar, low or high, and find myself stopping at a gas station on a long run to ‘chug’ a sports drink, or taking injection to get my blood glucose level in a ‘performance’ range. Other times, diabetes has given me a performance aide in that I always have a sense of my body at a particular point in time—I have to be aware. If I am not, I could crash or my performance may suffer. Diabetes is unpredictable and takes a lot of trial and error in terms of managing for endurance running. DSP, and the other type 1 athletes I have met (John in the running club and Igor Stevic, for example) have helped immensely, and I hope to do the same for others. So, follow us on social media and help support our cause! Many runners struggle with finding time to train – how do you manage to squeeze in running with your busy grad school schedule? With the running group, times were always at a set schedule and I managed to use these as a perfect ‘study break.’ Long runs actually got me up early on the weekend and motivated me to focus the rest of the day—with a busy schedule, I learned to be efficient and productive during the times I wasn’t running instead of ‘wasting’ time. That being said, there were many late nights and I’d sometimes get a morning run in on little to no sleep. Running always seemed to give me a sense of energy though, no matter what—and the people I was with inspired me to get work done so I could join them! I tentatively have the Arizona Rock ‘n’ Roll Half Marathon on my schedule, as I would love to PR in a half marathon. 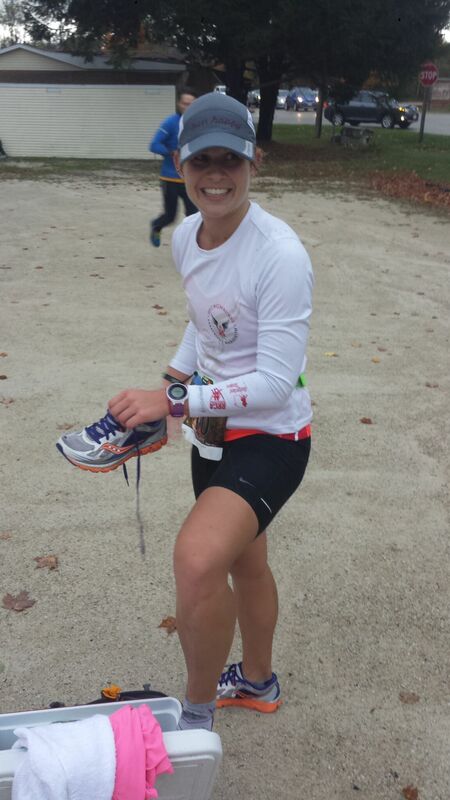 I also just want to continue to compete for fun, but eventually have another shot at the marathon and run Boston. If all goes well, I want to consider the Olympic trials for 2020! Triathlon season will gear up again in the summer, and I have lifelong aspirations of IronMan and ultramarathons—but first, a career is of priority! The people and their knowledge for running, and the many routes I had yet to experience—there are always new trails and paths that I have never seen! I also noticed that since Milwaukee winters can be cold, the running community embraces every bit of good weather (and bad!) which you don’t often see other places. 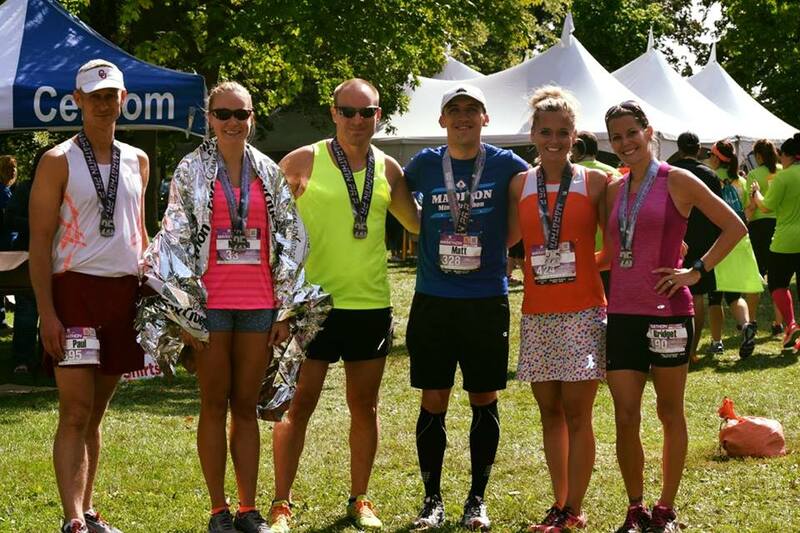 Also, everyone in the running community is friendly and wanting their peers to be successful. There is less concern about pace, winning, etc., than about the healthy lifestyle each and every runner shares, which I think is awesome! I will never take running for granted and will run for all those that can’t. As my favorite professional runner Lauren Fleshman once said, “When you recognize that failing doesn’t make you a failure, you give yourself permission to try all sorts of things.” This is something I have grown to live by, along with “You can find evidence to support anything you believe about yourself. 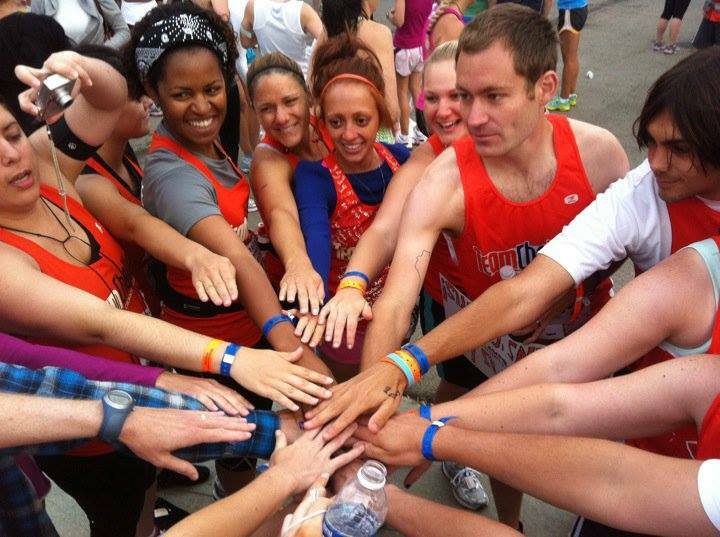 So you might as well believe you can achieve your most outlandish goals.” There are no limits, and the Milwaukee running community proves just that! Thanks so much for chatting with us, Sofie!